Not all gifted children are receiving the support they need in Swiss schools, with an estimated up to one in five not fulfilling their potential. Time to take more action, the Federation of Swiss Teachers says. The Swiss state school system runs along an integrative model to include a wide range of learners, but the focus often goes on children with special education needs, explained Beat A. Schwendimann, a board member at LCH, which represents teachers in German-speaking Switzerland. But gifted children also have special needs and require support. “Gifted education is often seen as an optional add-on,” he told swissinfo.ch via email. But it’s the school’s mission to develop the talents for all children, he added. Studies show that 15% to 20% of pupils would be capable of performing above the class average. That is why the LCH has drawn up a position paper, recently highlighted on its website, calling for compulsory measures across the country and at all education levels to support high potential children. “Ideally, each school should have at least one teacher specialised in gifted education, who can advise other teachers and the principal,” Schwendimann explained. Currently measures for children with high potential vary from canton to canton – as these oversee educational matters in Switzerland. This ranges from skipping a year and mentoring, to after-school activities and specialised schools. Teachers can also give bright kids additional material to do in class. But only in some schools it is a key aspect, Schwendimann said. The amount of funding for this also varies among the cantons. The LCH sees its position paper as a reminder that programmes should be system-wide and across all levels. Due to the different cantonal approaches, it is hard to compare Switzerland to other countries. “However, Swiss schools could certainly learn from other countries that have a longer tradition in supporting gifted students” the education expert said. As the position paper explains, spotting high potential is not always easy, as the pupils affected don’t always get high grades. Boredom or fear of being labelled a nerd can impact a high potential child’s performance. In some cases, frustration manifests itself as aggression or being badly behaved. This is why it’s important to recognize and encourage gifted children early, the LCH says. “Gifted education should therefore be part of school development programmes and receive adequate funding and quality control,” Schwendimann commented. 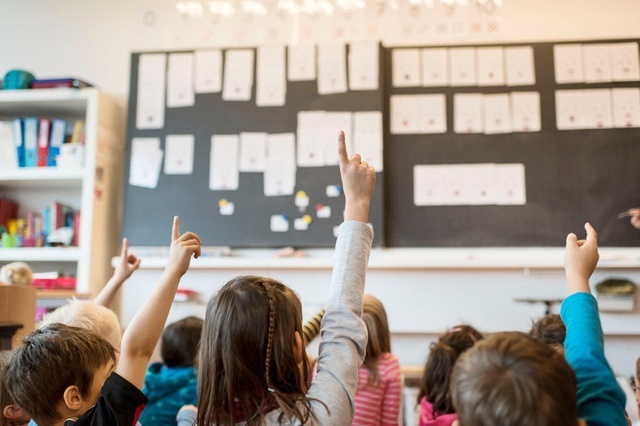 Education expert Margrit Stamm told the Aargauer Zeitung that while she supported the teachers’ position paper, it might be hard to introduce measures across the whole of Switzerland. Many cantons do not have the money for high potential programmes, she said. There is also a tendency to concentrate on children’s deficits: six out of ten children in canton Zurich have had some sort of therapy – such as for dyslexia or occupational therapy – before they start school, she was quoted as saying. Plus, young children have different rates of development, which is why she is calling for greater flexibility about when children start school (for example in winter as well as summer). The article also highlighted the story of Maximilian Janisch, Switzerland’s best-known child maths prodigy, and his difficulty in navigating the education system (see box), which he found to be “inflexible” in his case. Schwendimann recognised that while many schools were working with individualised learning programmes, which makes it easier to develop measures for gifted students, others had no specific support. “To provide equal opportunities for students, all schools should provide support for gifted students,” he concluded. Maximilian Janisch is Switzerland’s most famous gifted child. The maths genius, aged 15, has an IQ of 149+, and has just started studying at the University of Zurich. He is the country’s youngest student. He found that the school system was not really adapted to his exceptionally high IQ. He went to senior school at age eight, doing his Matura, the exam that allows you to study at university, a year later. But he had to wait until he was older to be allowed to attend university. His father, Thomas Drisch, a retired professor of mathematics, has argued that there is not enough support for STEM (science, technology, engineering and mathematics) talents in Switzerland.